The capital of Greece, Athens is a popular holiday destination renowned for its pottery, sculpture and verse, museums, galleries and markets, history, philosophy, ancient culture, local cuisine and tavernas. 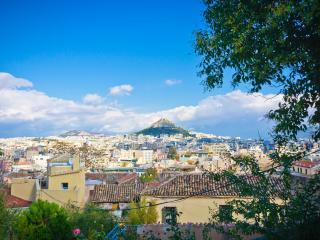 Embraced by the peninsula and Saronic Gulf, Athens is a busy modern city that is steeped in welcoming history and passion and is home to a wide range of tourist attractions including the famous Acropolis. Home to a great range of accommodation conveniently situated close to iconic attractions, Athens accommodation caters for everyone from backpackers and honeymooners to families and luxury travellers.